London, UK—August 6, 2018. Ex Libris®, a ProQuest company, is pleased to announce the acquisition of Research Research Limited (known as *Research). This acquisition is part of the ongoing strategic investment by Ex Libris aimed at providing a broad and deep offering for academic research stakeholders—scholars, research offices, and libraries. 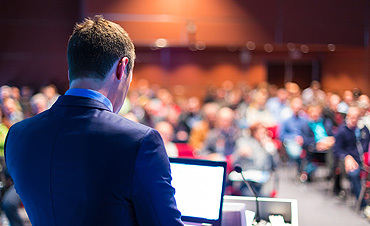 Founded in 1994, *Research offers broad coverage of funding opportunities and publishes authoritative news and analysis of research politics and funding that improve decision-making by research stakeholders. The company has an extensive customer base of over 250 institutions in the United Kingdom, continental Europe, Australia, and New Zealand. Many of these institutions already have a strong relationship with Ex Libris. The complementary funding databases of *Research and Pivot will enable Ex Libris to provide the broadest global coverage of funding sources, insights, and collaborator discovery. *Research products and expertise complement the Ex Libris research services offering, which includes the Esploro™ research services platform, Pivot® funding and collaboration solution, RefWorks® reference manager, and Primo® and Summon® discovery services. The complementary funding databases of *Research and Pivot will enable Ex Libris to provide the broadest global coverage of funding sources, insights, and collaborator discovery. Ex Libris will continue to develop enhancements for *Research and Pivot services to the benefit of new and existing customers. Cullerne Bown, a leading authority on the relationship between academic knowledge and the shaping of public policy, will join ProQuest in the role of Research Principal. With his extensive experience, Cullerne Bown will help ProQuest and Ex Libris achieve an even deeper understanding of the research world and enhance offerings for university research offices. For additional information about this acquisition, see the frequently asked questions. Research Research, known as *Research, helps scholars and institutions ensure that smart ideas do not go to waste. To achieve a thorough understanding of the funding landscape, leading universities depend on the coverage, accuracy, relevance, and reliability of the *Research Professional database of funding opportunities and our news and analysis services, which report on directions in research funding. Using these tools, scholars make better-informed decisions about whether to develop a proposal or not. *Research serves over 250 institutions in the United Kingdom, continental Europe, Australia, and New Zealand. For more information, see our website and join us on Twitter. 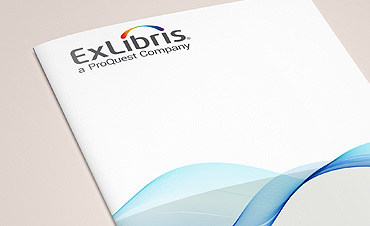 Ex Libris, a ProQuest company, is a leading global provider of cloud-based solutions for higher education. Offering SaaS solutions for the management and discovery of the full spectrum of library and scholarly materials, as well as mobile campus solutions driving student engagement and success, Ex Libris serves thousands of customers in 90 countries. For more information about Ex Libris, see our website and join us on Facebook, YouTube, LinkedIn, and Twitter.